This program teaches telephone agents how to sell on the phone while building rapport with customers. Agents will learn how to identify up-sell and cross-sell opportunities, how to overcome fears, how to structure the call, how to present a convincing offer, and how to close the deal. The program is self-paced, contains interactive scenarios to engage learners, and can be applied in both inbound and outbound environments. The program Successful Sales is also included in the bundle Full-Stack Agent Training. Turn any sales-reluctant customer service agent into your top sales performer with this interactive e-learning course! Help frontline staff get prepared for their role in customer-focused selling by emphasizing the customer and overcoming selling apprehension to maximize selling success. Selling isn’t just for sales reps anymore. As more call centers move toward up-selling and cross-selling, yesterday’s customer service agent needs to be today’s well-rounded sales and service agent with the knowledge and skillset to develop and close sales, all while ensuring a high-quality experience for each customer. This course will cover how to make the most of inbound sales opportunities, both in pure sales and service/sales environments. Agents will gain new perspectives on how up-selling can benefit the customer and develop a mindset that will maximize the customer relationship as well as the company’s bottom line. Overcome fear and reluctance to making an additional offer. We’ll test your knowledge of the key learning points from the course. To score a passing percentage of 80%, you must answer 12 of 15 questions correctly. 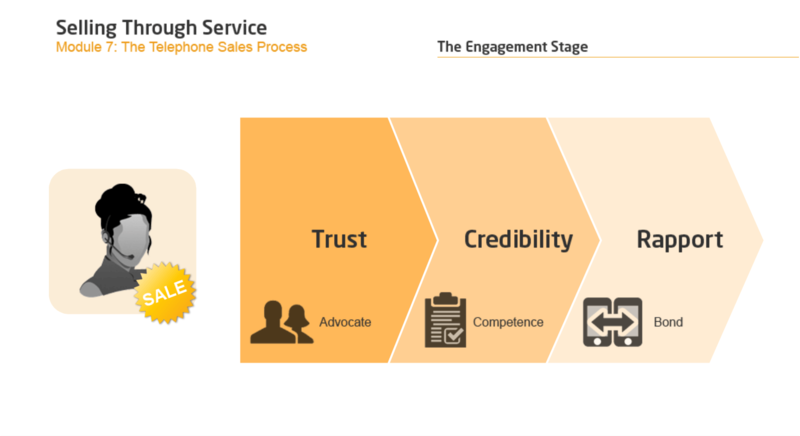 This interactive e-learning course will help agents navigate through sales opportunities with ease by outlining the four basic stages of a sales call. Agents will learn how to engage the customer, discover basic customer needs, present solutions that benefit the customer, and gain commitment for next steps. Whether your calls are purely outbound sales, up-sell opportunities within the order-taking process, or the potential for a sale at the end of a service call, there are always four general components to a successful sales call. In this course, we’ll explore the four essential components of a sales call and what to say and do at each stage to best support the customer and make the sale. Agents will learn how to engage the customer in the first few moments of the call and progress through a successful discovery process. Once customer needs have been identified, participants will learn how to present a solution that is all about the customer and reach a commitment that is a win-win scenario for both your customer and your business. To identify the various types of sales opportunities and their characteristics. Strategies to develop trust, confidence, and rapport in the engagement stage. Questioning techniques and listening skills for the discovery process. Present the solution in a positive way from the customer’s perspective. To generate commitment from the customer and close the sale successfully. We offer bulk discounts for orders containing 5 or more seats for a program or bundle. Check our pricing options for Successful Sales below. If you apply for bulk pricing, please contact us to place your order. 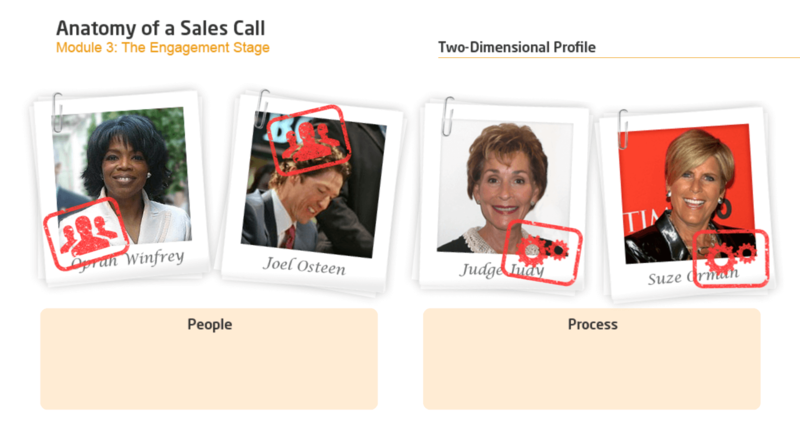 The Successful Sales program is designed by call center experts to provide a practical and engaging learning experience. Start today.